An authentic artwork by celebrated British sculptor Henry Moore has been cleansed of its dark past, and is ready to be seen by the public once again. A sketch found in 2012 has been authenticated as an original artwork by the celebrated British sculptor Henry Moore. The new investigation also cleansed the watercolour of dark ties to the Nazis — and it is ready to be seen by the public once again. The artwork has been kept from display since it was discovered six years ago in the home of Cornelius​ Gurlitt, the son of Nazi art collector Hildebrand Gurlitt. Switzerland's Museum of Fine Art in Bern, who took possession of the work, feared the sketch had been looted by the Nazis during the Second World War and therefore not rightfully theirs to show. But now research by the BBC program Fake or Fortune has found the work was not originally the gains from plunder, but instead likely secretly purchased by Gurlitt in an effort to keep it from being destroyed for its exotic imagery. Philip Mould, an art expert and the co-presenter of Fake or Fortune, spoke with As It Happens guest host Helen Mann about the "whodunit" investigation that led to the work's second life, and why this sketch is such an important addition to art history. Here is part of their conversation. 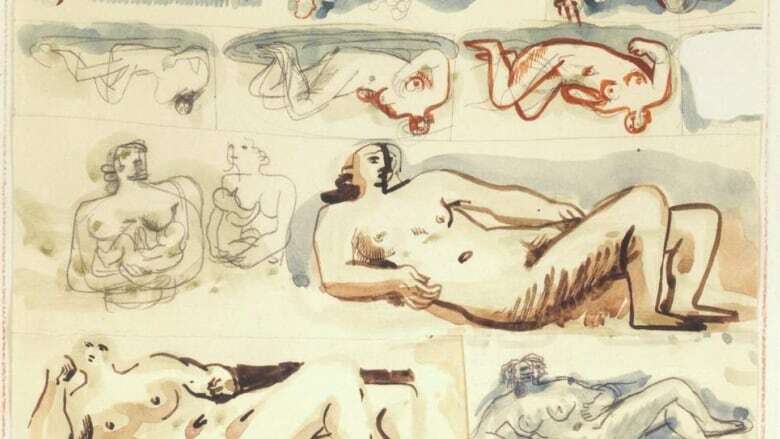 What were your first thoughts when you set eyes on this watercolour sketch by Henry Moore? Is it the real thing? Could this be by Henry Moore, the towering figure in sculpture in Britain during the 20th century and throughout the world subsequently, or was it just yet another one of these imitations — these fakes? So doubt followed by excitement, and then the pursuit began. How do you determine that it is authentic? So this drawing was one of a number of works ... seized at a flat in Munich about two or three years ago from a dealer called Gurlitt [Jr.], and his father was one of four dealers who worked very closely with the Nazis collecting pictures — which were either used by the Nazis themselves for their museums and collections, or sold. It was part of a very dark collection of objects. [When] Gurlitt Jr. died, he left them to the Bern museum, and the museum said: "We would love to serve them, but first we have to discover whether they're really the works of art we think they are… and secondly, and as important, as we've got to establish that they weren't a Nazi plunder, and that we have the right to show them and don't need to return them to the families to which they might have come." What Gurlitt [Sr.] did, is he bought secretly pictures that were considered to be "degenerate." The Nazis had really appalling taste when it came to art. Anything that was sort of cutting edge and avant garde they considered to be affront to their stuffy sensibilities. A lot of art was rounded up, sold off, and some of it destroyed. And the question was, "Was this one of those drawings that had been thought of as degenerate and ended up with Gurlitt that way?" And that was really how we began our investigation. So how did you go about proving that it was not acquired through plunder? Well what we do on the program is basically treat every painting, every drawing, as you would a case — a sort of whodunit. Forensics first work out if it's actually the date it should be: holding it to the light, various scientific techniques to bear upon it. Then we need to find out — and in this case it was terribly important — its history. We need to establish pretty well every day where it had been. Why it might have left England? 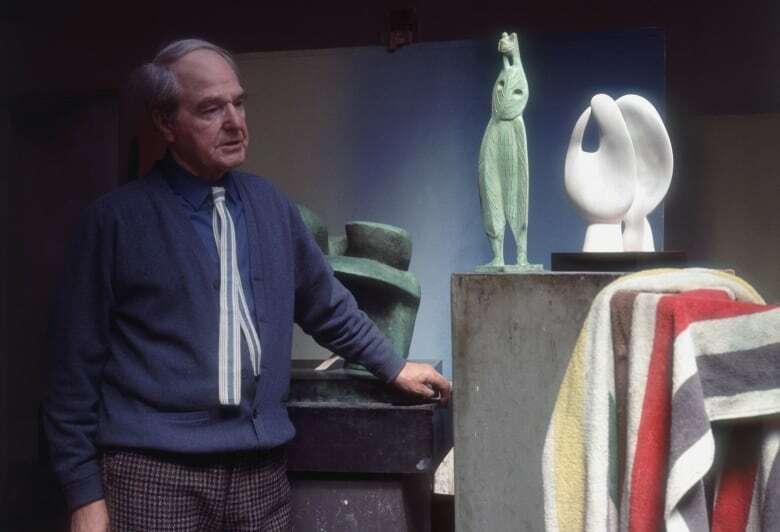 What began to emerge was that Henry Moore, being sort of a cutting-edge abstract sculptor, had more of a reception in places like Germany than in Britain, who is quite conservative about art. In the 1920s, before the Nazis came, Germany was a pretty right-on place to show art. And so what we began to establish was that this picture was almost certainly a drawing that had ended up in Germany, purchased by a museum. The question was how did it get to Gurlitt? Had it been a private collection that had been seized? What we were able to establish by the end was that this was something that had been established as degenerate art [in the 1930s under the Nazis] and Gurlitt managed to get hold of it and put it away in his collection. So given your determination, what is the implications for the work itself? It is in the Museum of Fine Art in Bern, Switzerland. Does it get to stay there? It does. So as a result of the investigation we have proved that this is a work by Henry Moore — a collage watercolour drawing that he did in relation to some of the famous sculptures that he created. And secondly that it wasn't seized from a Jewish family. So cleansed and established thus, it is good to be on display to the public. Is it artistically important, this collage? It's a rather intriguing drawing. It consists of eight or nine distinct images. He used to do this with his wife — cut up sort of memorable moments. It's a work from the 1920s, very early on. 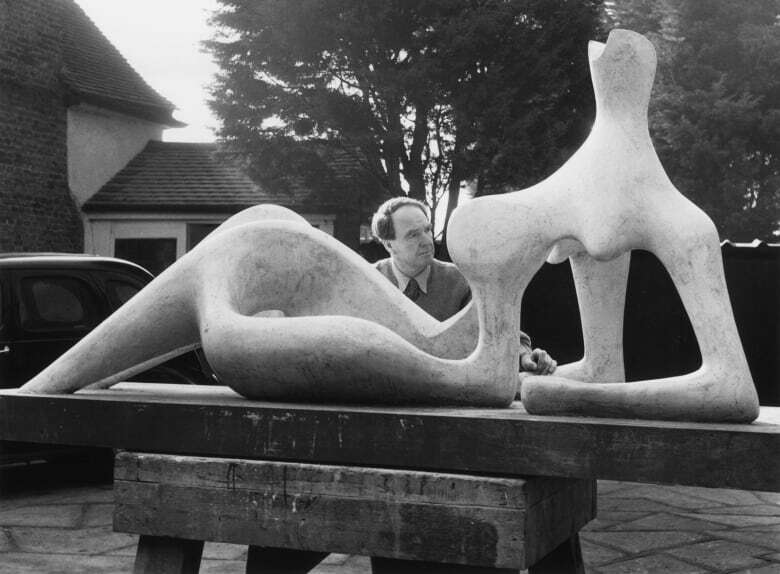 Those pivotal years [were] when Henry Moore turns from a British artist to an international artist, and that's really why it's so important. So it both looks interesting — it's an appealing image — but it's also a historically significant one. It is terribly exciting, in a way, to bring out of the cupboard of history — particularly the dark corner that this was given with the Nazi association — a drawing of the early years of an artist who was so significant and whose work can now be seen again. Segment produced by Ashley Mak. Webpost written by Sarah Claydon. Q&A has been edited and condensed for length and clarity.